I’ve come across many people in the past year that have asked me, “Why should I go to WordCamp US in 2016?” Many might think it’s just another conference. It’s not, it’s like gigantic WordCamp! Last year, the first WordCamp US, had well over 1800 in attendance. This year, nearly twice that is expected. 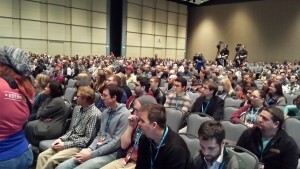 This year is the 2nd time that WordCamp US will be hosted in Philadelphia. The PA Convention Center is an AMAZING location. The organizers spent a lot of time putting this spectacular event. 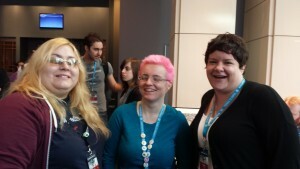 Come on… last year, not only did they pull off WCUS 2015, they even had a WordCamp Philly! That’s how awesome Philadelphia is. Not only that, but Philadelphia is a historical city, filled with a lot of activities you can do when you’re not at WCUS. 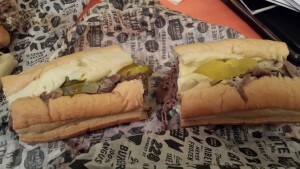 Also, if you’re in Philadelphia, you gotta have a cheesesteak! WordCamp, regardless of it being “US” or a local WordCamp in a city near you, is an event that everyone walks away with a lot. 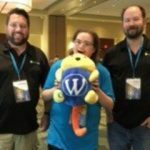 Whether it’s new friends, meeting old friends, gaining swag, meeting businesses that have valuable tools for your WordPress site, making a business connection, or learning something new, WordCamp provides all of this. It’s a conference that celebrates the WordPress Community, what it’s done, and what it will do. The cost of WordCamp US is $40, because of the generosity of sponsors. It’s also run by volunteers too! This is a win-win for everyone attending the event. This year, the organizers have selected a lot of amazing speakers that have a lot of experience in WordPress development, design, marketing, SEO, content creation and blogging, and much more! I gone and reached out to few of the WordCamp US 2016 speakers, and asked them to tell the readers a little bit about what they will talk about, and what they love about WordCamp. I developed this talk for two reasons. As a content writer, I often get clients who have absolutely no idea what they actually want in content except higher google rankings, and once we start writing, they realize what exactly is included in “content” and give us more concrete orders. I’ve seen the same happen to my developer and designer friends, who get a client who has no clue what they really want on their website, they only know what they want it to do. So I figured putting together some tips on how to talk content with your clients would be useful for the community. The hallway track and getting to help people. I love just hanging around and chatting with others, or watching other people enjoying themselves. I also like when I’m in the Happiness Bar or chatting with people after I give a talk and I see that I or someone else at the camp has made an impact on their WordPress knowledge. That’s another reason why I love organizing my camp, you have the opportunity to spread the WordPress love and knowledge to so many more people, even if you’re like me and far from an expert. You can follow Lisa Melegari on Twitter @lmelegari. Her talk, How to Talk Content: A Guide for Developers, will be December 2nd, 2016, in the Key & Kite Room, at 10AM. I’m going to be talking about some stories that have already been published, but also some behind the scenes stories, that haven’t been yet, or won’t be at all. I’ll also talk about the impact of writing on the writer. I love WordCamps because so many close friends also go, it’s truly like a family reunion. It warms my heart to be near those dear people. You can follow Topher on Twitter at @topher1kenobe and his website, topher1kenobe.com. You can see his talk, HeroPress: The People Of WordPress, on December 2nd, 2016, in the Independence Room, at 2:15PM. I believe in doing things with intention. My talk will cover my tips and tricks on showing up with a goal in mind, and how you can take actionable steps to accomplish those goals by building your network. I also believe in community, so learn to tap into the power of it for your benefit. Whether you’re wanting to learn a new skill, or you’re looking for job opportunities one of the biggest assets in anyone’s life is a generous network. Hands down it is the opportunity to meet people from the WordPress community in person. I enjoy hanging out in the hallways in between talks and just catching up with friends, and introducing myself to strangers. The talks are all equally amazing, but it’s the connections we build that start the foundation of friendships. And because of WordCamps, I have friends all over the world from all walks of life, and my life is richer because of it. 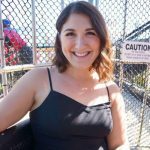 You can follow Shayda Torabi on Twitter @shaptora, and her website, dinewithshayda.com. Her talk, Let’s Take This Offline: Making friends, and growing professional relationships IRL, will be on December 3rd, 2016, in the Key & Kite Room, at 10AM. I’m giving a talk about user support because I feel there is still a lot that needs to be done to close the (knowledge) gap between users and developers. Often times support is the thing devs think about last minute, when everything else has already been done – and especially when it comes to free(mium) plugins, companies often think that support is something they don’t need to do. I want to change that perspective, and offer some hands-on tips that companies can use to improve their relationships with their users. What I love about WordCamps is that it’s much more than just listening to talks and learning new things. It really is a community, where I have made deep connections and found friends for life. It’s how I regained a social life after becoming isolated a couple of years ago. I wrote an article on that on HeroPress a while ago. My talk at WordCamp is all about online courses with WordPress. And the reason why I’ve chosen this topic is because online courses have completely changed my life. They’ve allowed me to reach thousands of students all over the world, and have an impact on these peoples’ lives by teaching what I know, and also teaching them what I continue to learn. It’s given me an audience. It’s given me accountability, of having an audience and having content that forces you to up you game and forces you to learn more, stay ahead of the curve, ahead of your audience. It’s also as a result of all of this, that has allowed me to create a reoccurring stream of income and revenue that I would have never thought I would’ve achieved in my life. 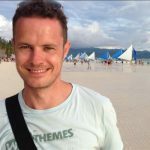 I just want to share with others how we’ve done that using WordPress. The reason why I love WordCamp is because you get to connect with a whole bunch of people in real life, that you know from being online. The Open Source community and the Open source spirit around WordPress makes it a warm and safe and welcoming place. It’s that feeling of belonging to a tribe, and nothing beats hanging out with them in real life. You can follow Troy Dean on Twitter at @troydean and his website, Troydean.com.au. His talk, Online Education Communities with WordPress, will be Friday, December 2nd, 2016, in the Key & Kite Room around 4:45PM. While, I’ve only reached out to a few of the speakers, there are dozens of others who have a lot of great topics, and insight that you won’t want to miss. If you miss out on WordCamp US 2016, you can catch WordCamp US 2017 in Nashville, Tennessee. I also will be posting a recap of the event. 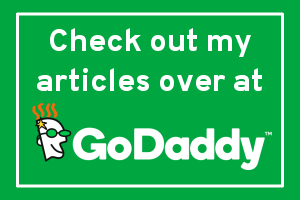 Godaddy and WP Engine, who are WordCamp US 2016 sponsors, have generously sponsored my trip. For that, I’m extremely thankful. If you want to go, you can buy WordCamp US 2016 tickets or buy a Livestream ticket, and view from home. 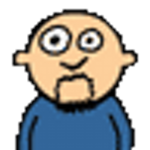 Are you going to WordCamp US 2016, in Philadelphia? What talks are you looking forward to? Wordcamp sounds like an amazing experience. Getting together with other bloggers is the best way to connect, network, and generally build a stronger sense of community. I really should go to this. There is so much to learn about WordPress, and there are so many awesome people to meet at a gathering like that. I have never heard of this camp before!! What a great place for kids to learn and to grow! Hi Vera! This isn’t a camp for Kids, although WordPress users of all ages can attend. My son has been to a local WordCamp before, and some local WordCamps have an extension called Kid’s Camp, where the workshop is focused on children, 5-12. I’ve never heard of this conference. Such a great price for tickets! And you can livestream? Will definitely check into this. Yep, there is a livestream option too on the website that you can purchase. That sounds like a great experience! You never know what is out there until you experience it all! Word Camp looks like an amazing experience. I do love Philadelphia! What an amazing experience. WordCamp sounds super fun. I wish I could go next time. I’ve never been in an event like this, it really looks fun and exciting! Looks like had an good experience, I want to go there someday. I have never been to a WordCamp before. I will have to look into going. It looks like a ton of fun. This sounds like a fun experience for teens. I wish that I could send my son. This is not a “camp” for teens. It’s a conference that adults go to, mostly. Some children who use WordPress do go, and some come along with their folks, but it is not an event focused toward children. I’m not sure where in this article that you got it was for children. There are no children in the pictures. The price is AMAZING… the location great…. says a lot of the number of attendees is going from 1800 to 3600 in one year! I’d love to become a wordpress expert there. I like what you said about gaining ‘swag’! I would love to join this lerning experience. I wish there are events like this here in my area. That sounds like a great event to attend to. And we’ve never been to Philly yet. Would love to go to Philly one of these days and of course, I would love to attend the WorldCamp too! I would love to travel to Philly! Sounds like a really great blogging experience, and I must have one of those sandwiches! Very few things are harder to work with than a client that has expectations but no idea how to help you meet them. Have been using Divi more and it has some really neat functions. 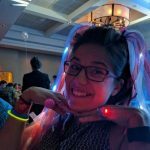 Would love to meet you guys, and I’ll be at WCUS.